Audiovisual systems are becoming increasingly central to global operations as they offer expanded remote management capabilities. This upward trend of AV systems operating over enterprise networks can pose a serious risk for security breaches, therefore it's critical for AV professionals to understand and mitigate these risks. AVIXA's new Recommended Practices for Security in Networked AV Systems provides guidance and current best practices for securing networked AV systems of all sizes. "We have a responsibility to the enterprise whose networks we're on to make sure our AV systems are not enabling intrusions; that we've done everything we can to understand what's at stake and take steps to mitigate the risk for the entire enterprise," said Ann Brigida, CTS, CStd, AVIXA's senior director of standards. "There are many standards and practices that have been put in place through the years to lock down the opportunities for hackers and prevent breaches, and many cyber-security firms provide 24/7 intrusion detection. But most of the standards and guidance deal with the network itself and not the systems being put on the network. That's why AVIXA worked with subject matter experts to develop a set of best practices to keep the network safe while placing AV systems on it." With guidance from AVIXA's Standards Steering Committee, the recommended practices were developed by a task group of security experts and technology managers from AECOM, BAE Systems, Cornell University Ithaca, Crestron Electronics, European Centre for Medium-Range Weather Forecasts, Harman, International Criminal Court, Meyer Sound, Sound Control Technologies, and PITM Consulting. 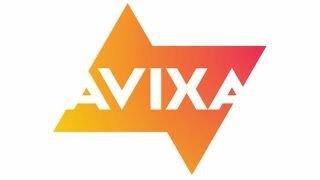 To learn more and purchase Recommended Practices for Security in Networked AV Systems, visit www.avixa.org/AVsecurity. This publication is free to AVIXA Premium and Elite members.